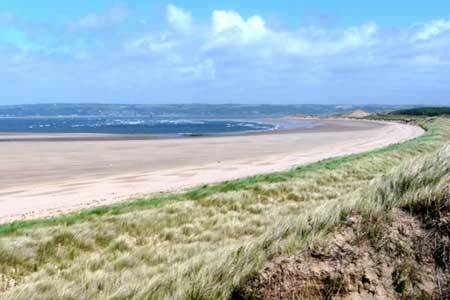 The Gower coast offers many excellent walking opportunities. This route starts from Llanmadoc and uses a section of the Wales Coast Path to follow an anti-clockwise route around Whiteford Sands a spit that extends out into the Loughor Estuary. A GPX File is available for download (see walk description).